I love these lanterns… so adorable for an outdoor patio, centerpiece, or even lined up along a pathway. 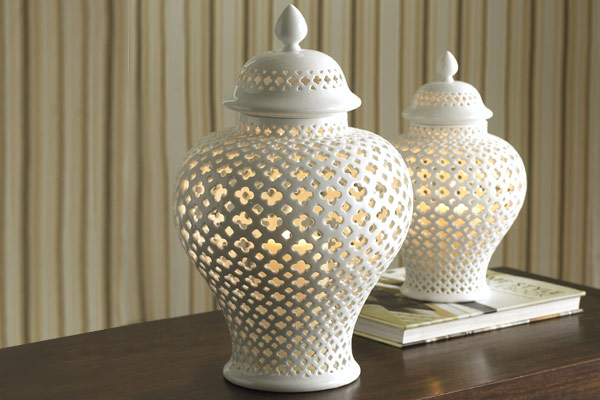 There’s something lovely about lanterns made of white porcelain. They’re available at Room Service Home, a great resource for unique dÃ©cor items. They are so nice, I really like them, especially if there were lots in different shapes and sizes all together.